I was surprised on how good this was. 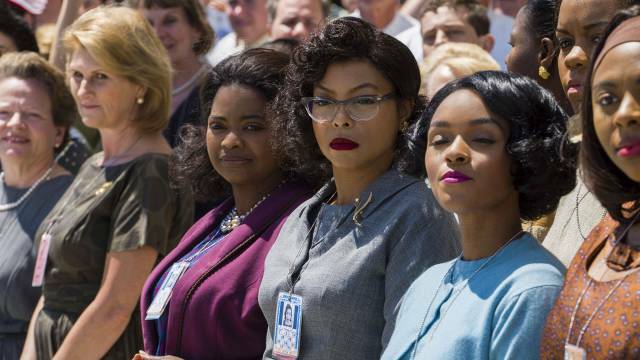 This is one of those movies that needs supports and be shown for the disgusting reminder of human behavior towards racism and the inspirational nature of three woman who beat the odds and proved to be just as equal, and more so, than their male counterparts. Let’s get reel and break this down. I love the way the film is put together and the director treating the subject matter, despite the PG rating, with maturity so it isn’t watered down but also glimmering with hope. The emotional moments hit with ferocity and really show how terrible sexism and racism was back in the day. These three women, based on real life people, prove to any kid who watches this that if life beats you down by ignorance you standup for equality and fight it. With its strong messages, it is also entertaining and makes the world of NASA super inviting to sign up and join. Lastly, you are rooting for these characters every step of the way and they are some of my favorite heroes portrayed on screen this year. Maybe see a bit more of Octavia Spencer’s character’s home life. The other two are well balanced between work and home life but I wish we got a bit more with her. Everyone is wonderful. All three main actresses provide the charisma and strength of these real life people. They all have their shining moments that will make you stand up and cheer. The supporting cast is great as well and Kevin Costner is my second favorite performance. His character gives the humanity and compassion that people are supposed to have for one another and stand up against inequality. The beautiful colors pop from the fantastic set design and art direction. The whole atmosphere feels like it’s from the 60’s and has a warm quality about it. For its two hour run-time it doesn’t feel too long and I was intrigued the whole time. I almost wish it was longer. Then again, I am huge fan of anything based on real life people and/or events. Even if you bring your kid or younger sibling to it, I think they will enjoy it. I compared this to Remember the Titans. It has a friendly rating for all families to enjoy but doesn’t treat the audience like their dumb and show the struggle that these women went through with care and honesty while being entertaining and having you cheer towards the end.